As 2009 draws to a close, I've had the pleasure of compiling the Travel Bites column for Issue #1 of Discover Australia e-magazine of which I'm the Journalist. Issue #1 of Discover Australia is due late February 2010, and it will be the Mar/Apr/May '10 quarterly edition. Writing in advance for such a publication requires forethought, research and knowing that by the time people read the column that Australia will be experiencing autumn. The aim of Travel Bites is to provide one snippet of information for each state and territory of Australia. There's always plenty happening around the nation, so sourcing interesting things to do, see, and experience should be fun. Travel Bites will be a column accompanied by travel photos sourced from Australian Travel Photography and Writing group members, and myself. From festivals to tourist attractions - there's something for everyone. Discover Australia e-magazine is a publication of the Australian Travel Photography and Writing group. It is a free quarterly Australian travel magazine of 20-25 pages in PDF format containing editorial, travel articles, interviews, travel photography, photography competitions, reviews, news, etc. 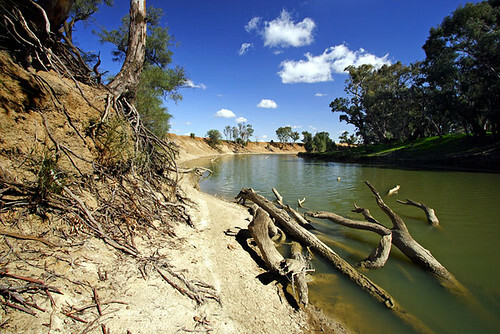 The content is supplied by members of the Australian Travel Photography and Writing group. It is a non-profit publication. I'm pleased to be the Journalist for the publication, and I'm an integral part of the Editorial Team. My contributions to the publication will be editorial comment, profile/interview pieces, travel articles, and a travel news column titled Travel Bites. As Founder, Host and Journalist of the Australian Travel Photography and Writing group, it's a buzz to see this publication come to fruition. We're hoping to provide an entertaining and informative Australian travel magazine, whilst providing an avenue for budding Australian travel writers and photographers to be published. 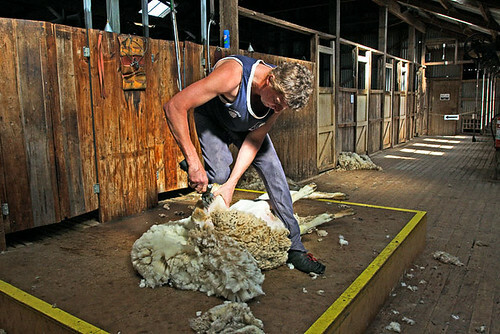 Issue #1 of Discover Australia is due March 1, 2010, so it's nose to the grindstone. It’s been a terrific year for the Australian Travel Photography and Writing group, and a wonderful year at RedBubble. Firstly, I would like to acknowledge RedBubble, and in particular its General Manager Peter Styles for his ongoing support of the group. Peter is reasonably aware of how the group is developing, and he recently said in our forum: “Terrific work guys. There’s much to check out and this group is going from strength to strength.” My gratitude is extended to Peter, and I look forward to communicating with him on behalf of the group during 2010. The quality of Joe’s Australian travel photography is high. His photography has been published on numerous occasions, and was again during 2009 in The Complete Guide To The Great Ocean Road by Richard Everist of BestShot! publications. Joe recently became a Group Host of the Australian Travel Photography and Writing group, however his level of participation in the role is dependent on his health. Without going into specifics, Joe is lucky to be alive – he quite simply came back from the brink due to a life threatening illness. Behind the scenes in the group host’s bunker, Joe provides advice, direction and a good touch of humour. The travel writing bug has bitten Joe in recent times, and I believe his goal is to be published in the mainstream. It won’t be an easy task for him to accomplish, and I wish Joe the best in his endeavours. He has good stories to tell, so fingers crossed an editor will give him a go. Group forum participation is something I have consistently encouraged since the group’s launch on December 28, 2008, and Joe has been active from the word go. His willingness to provide relevant travel advice and critique on fellow members’ travel photography has impressed me. He is generous with his time and his advice is sound. During 2009, Joe has sponsored various challenges within the group, and this makes for a good atmosphere. I trust the association will continue in 2010. The Australian Travel Photography and Writing group consists of 613 talented and conscientious members. I see 2010 as a year where we can achieve further success as a group, and celebrate the successes of our members. It’s a pleasure to be part of the group, and I thank everyone who has contributed to it during 2009. 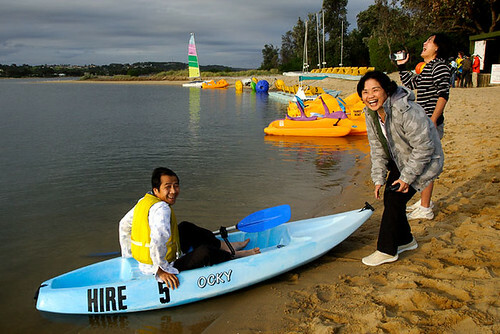 Here’s a snapshot of what to do along the Sapphire Coast in New South Wales, Australia. 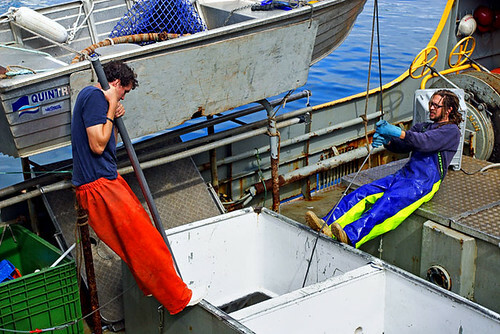 Eden: Head for the wharf and watch the unloading of the catch. You can meet strong blokes earning their keep who are happy to spin a fishy tale or two. Drop into the Eden Killer Whale Museum to see the skeleton of Old Tom and learn about what he got up to. Just out of town is Ben Boyd National Park where you can spot roos and take in the views. Merimbula: Fancy burning some carbs? 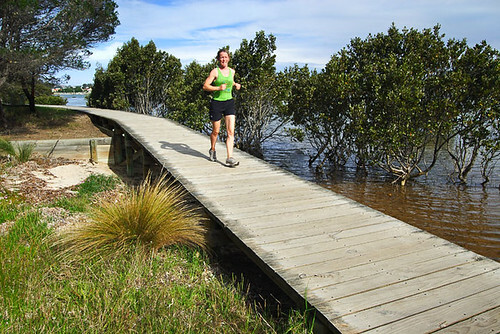 Then wander down to the boardwalk which follows the north shore of the Top Lake between the bridge and Top Lake Boat Hire. At Bar Beach, park the car in the top car park and enjoy the vista towards Mitchies Jetty. Merimbula Lake is a top spot to catch a fish, and if you’re keen, feel free to get in amongst them. Bega: A trip to the Bega Cheese Heritage Centre is a must if you’re a taster of vintage. Arrive hungry because the samples are free and plentiful. Upstairs there’s lots of old stuff like a butter churner and restored cart, and a small art and craft gift shop. 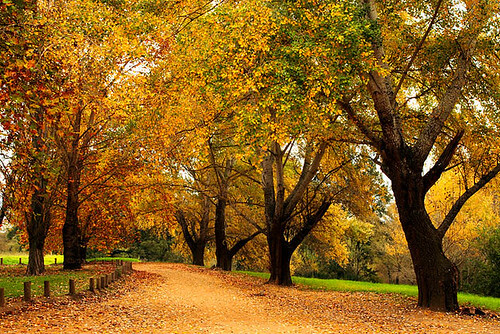 And if you visit during autumn, see the trees by the Bega River. Tathra: The Tathra Wharf is a great platform for deep sea fishing, but it’s also a beaut spot for a slice of cake and a cappuccino. One of the best places on the coast to catch a trevally and a soothing summer breeze. The main beach is great for a stroll and to watch the hard-bodied surfers in action. 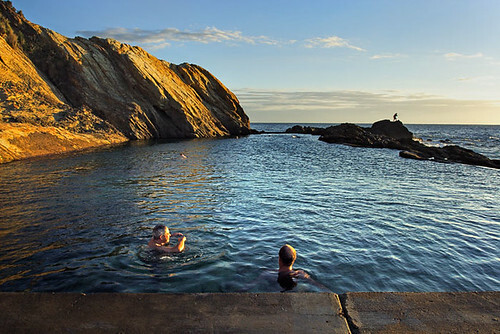 Bermagui: Rise and shine folks, and make for the Blue Pool. Arrive early with your togs on and watch a glorious sunrise. Then after lunch at the Bermagui Hotel, wander around to the harbour to check some high-priced water craft. With a bit of luck, you might even spot a bloke up a mast with a screwdriver in hand. 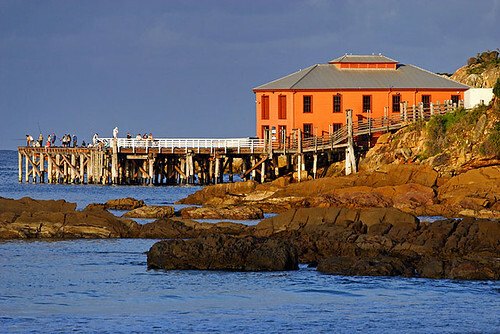 The Australian Travel Photography and Writing group will publish its first eMagazine in late February 2010. It will be a free quarterly publication of approximately 20-25 pages and be available online in PDF format. My position with the eMagazine is that of Journalist, and I'm excited about the opportunity to write articles for it. The magazine will include: interviews, travel articles, photography features, reviews, and competitions. A few other ideas are in the pipeline, too. The editorial team - of which I'm part - is working feverishly behind the scenes on the layout and composition. Currently, the team is in the process of selecting a cover image for the first issue. I founded the Australian Travel Photography and Writing group at online art site RedBubble in December 2008, and since its inception have been a host of the group. Membership of the group is currently 613 members. Date and time: Wednesday 12 August, 2009. 12:38 PM.